While USDCAD is under the influence of oil price, USD lost power against its Canadian counterpart due to the US unemployment data. 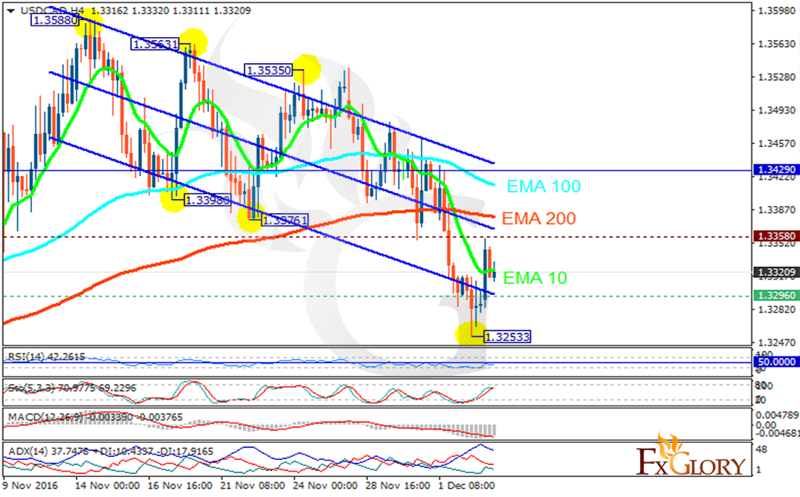 The pair is finding support at 1.32960 with resistance at 1.33580 which both lines are below the monthly pivot point at 1.34290. The EMA of 10 is moving with bearish bias and it is located below the EMA of 100 and above the EMA of 200. The RSI is moving below the 50 level, the MACD indicator is in negative territory and the Stochastic is moving horizontally in high ranges. The ADX is showing a weak sell signal. The support level breakthrough will be a good sign for sellers to target 1.3190 area.